Found 7 blog entries about Rentals. Tuesday, April 22nd, 2014 at 11:23am. It’s not the first time you hear me talk about the opportunity that exists now for Millennial who are willing and able to purchase a home NOW... Here are a few other ways to look at the cost of waiting. Let’s say you’re young and 30 and your dream house costs $250,000 today, at 4.41% your monthly Mortgage Payment with Interest would be $1,253.38. But you’re too busy, you really like your apartment, moving is such a hassle...You decide to wait till the end of next year to buy and next thing you know, you’re 31, that same house is $270,000, at 5.7%. Your new payment per month is $1,567.08. Craig Adelman now at 303.809.8979.
to rental units from foreclosed properties. screening solutions to both large property management companies and independent landlords. Where are luxury home rentals? Luxury home rentals crop up all over the place at various times. 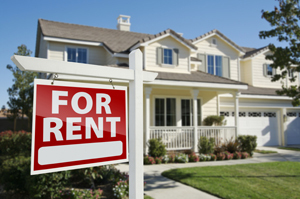 Homes may be available for rent in Highlands Ranch, Castle Rock, Lone Tree, Parker, Greenwood Village, Castle Pines, Aurora, Cherry Hills Village, Castle Rock, Littleton, Centennial, Denver, and other cities in South Denver. What types of luxury home rentals are available?